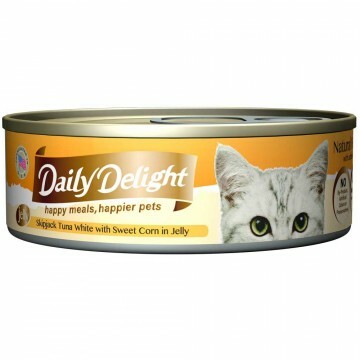 Daily Delight® Jelly features carefully-selected tender cuts with soft jelly that aids digestion. High in natural taurine found in the quality ingredients, Daily Delight® Jelly is a complete food for all life-stages felines. Perfect nutrition coming in perfect portion, we guarantee that it will be paw-licking good! Ideal for all breeds and life-stages. 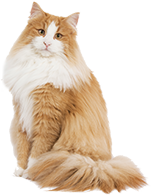 Daily ration for a cat is 1-2 cans per 2.5lb of body weight. Serve at room temperature. Cover and refrigerate the unused portion. Keep fresh water available at all times.